The Leaven of the Pharisees? What this verse is saying is that Biblical faith is achieved by examining Gods Word, and finding within it’s text, internal proofs which validate that it was orchestrated and inspired by God; while penned by 40 different scribes; it is a singular volume created by God. And as such is worthy of our sole attention concerning what God would say to man, and demand of him in return. As is stated ad nausea within this blog site, website, and teaching essays; faith is much different than mere belief. If you look up the word “belief” in a dictionary it would state that it refers to a mental or cognitive process – it takes place within our brain. Originally the word belief was more aligned with the word faith, which is NOW much different. NOTE: When the King James Bible (KJB) was translated, the English grammar of the sixteenth century was different than now, including the meaning of many words, such as the words “faith” and “believe.” The English verb form of the word for faith was “fayth,” which fell out of usage just prior to the creation of the KJB, which is why they used the word believe rather than fayth. For example, the English verb form of the word “faith” (Greek: pisteuo) is solely used in the book of John. With the word faith no longer having a verb form (an action form), only having the noun form, the KJB as a whole uses the verb “believe” in translating the Greek New Testament in regards to this Greek word for faith (see Holman Bible Dictionary, under “Faith”). This worked fine at the time, because the two words, faith and believe were very similar, but as time pasted the word “believe“ [and “belief“], has changed its meaning, now it means something different – a cognitive – mental pursuit ONLY, whereas faith has always meant a mindset that created an action – not mere mental belief. This becomes important because as James states, “…the devils also believe…” (Jam. 2:19), yet this belief does not translate into saving faith for them. Faith starts out with belief, a mental process as a beginning; yet it must be integrated with confidence, which is a repetitive awareness of truth because of a pattern of trust (The devils, “Fallen Angels” know that God exist – but they do not trust God any more, and are damned because of their lack of faith which leads them to their disobedience. Obedience and trust go hand-in-hand. You will not disobey God, if you fully trust Him and what He says, unless you are insane / non-rational, or you are a fallen sinful creature bent on evil. The Fallen Angels, made perfect and sinless know God, and have seen His faithfulness; which is why there is no forgiveness for them. Mankind, born into sin, is allowed grace based upon the atoning death of a sinless substitute, Jesus the Christ, and then man’s response to the offer of this grace through acceptance in faith – having not seen God – trust Him and what He has said. This is why we have grace offered to us, and the devils do not, we have faith, which displays itself in action form, our sole trust in God, who we have never seen), which then becomes Biblical faith, which always creates action – a behavior based upon a changed mindset. Faith is more than mere belief; it is a change in a person’s belief system that reconfigures the direction of their life. This is the idea of repentance. Repentance is more than changing one’s mind. It’s changing one’s mind, which in turn changes the direction of one’s life. This is why Jesus told His disciples to “walk,” His way by “following” Him (Matt. 4:19; 8:22; 9:9; 16:24; 19:21 ~ The use of the phrase “follow me” by Jesus was a Figure of Speech which went beyond that of simply going where Jesus went; but encapsulated a change in lifestyle where a person stopped going their own way, and started going Jesus’ way). Man must change his own direction in life, turning around 180°, and start to follow God, going God’s way. This is what faith is, it is life changing, and permanent, it is never temporal and cognitive only (which is what the 21st century word “belief” has come to mean). Faith is when confidence is added to belief to the extent that actions and behaviors are changed. A person could believe something all day long without that belief demanding any commitment or action in its furtherance. The old analogy that you could observationally perceive a chair and notice its stoutness, its rigid structure; and come to the conclusion that it would hold your weight – this is a belief that you hold. However, if all you did was walk around it and come to this mental observation, while this may be your belief; you will only place faith in that belief when you sit in the chair. This is why James says that the Devils (a synonym he uses for evil spirits) believe in God, yet are doomed. Confidence is achieved when repetition takes place, and an observed track record of success is contained. Confidence is achieved through habituation, a repetitive act of fidelity; we gain confidence through reading God’s word and repetitively observing that it displays mannerisms beyond human contrivance. As Romans 10:17 states, we read God’s word and see time after time that the things it says are always – always true. This is part of the problem of current Christianity. Because of the superficiality for which many people handle Gods Word, in the English translation; never checking the original language that God chose for His Word to be written in, apparent inconsistencies appear. However, these inconsistencies fall-away when we diligently seek God’s Word in its original language. It is the work of Marvin R. Vincent, W.E. Vine, Merrill F. Unger, William White, Maurice A. Robinson, William G. Pierpont, E. W. Bullinger, Albert Barnes, Spiros Zodhiates, Warren W. Wiersbe, Chuck Missler, Wayne Barber, and many others that have devoted themselves in studying the Greek and Hebrew text, with the specific intent of proving up God’s consistency, to those that read the Bible in its English translation. NOTE: Greek and Hebrew are both dead languages, meaning that they are set and unchanging. The words mean the same thing today than they did when they were penned. However, English is a living language that changes day by day; and therefore adds inconsistency in the translating process. The rules of English grammar are inconsistent as well. Whereas, the language and grammar of Greek are very precise, guaranteeing that the Greek New Testament is a very precise and accurate translation because of the language and grammar it self. Therefore, to add confidence to your belief, there must be a repetitious conclusion that what is believed in, is true; and that the source can be trusted. It is by examining God’s Word, and seeing a repeated pattern wherein God validates what He has said in His Word, that faith is produced according to the above passage. So to conclude this part of the introduction, Biblical faith is achieved by repeatedly finding things in God’s Word wherein belief moves from a cognitive state to a faith state / an action state – because of the repetitive internal proofs found in God’s Word. Within every language known to man there are what are referred to as “Figure(s) of Speech.” Over 100 years ago, Dr. E. W. Bullinger (see Endnote #1) identified 217 of these figures within the Greek language, all of which are utilized in the New Testament Greek manuscripts, as well as the Old Testament Greek translation, the Septuagint (as well as in the Hebrew language of the Old Testament Hebrew manuscripts). Figures of Speech (see LINK) are rhetorical devices (adjective: the type of mode of speech, verbal communication) that are utilized within speech to aid in communicating ideas, thoughts, and concepts. We all use Figures of Speech constantly in our communication with each other. Common types of Figures of Speech are: allegory, metaphor, contrast, comparison, and analogy; but to mention a few. Figures of speech are when a common word is used in an uncommon manner, indicating that it means something beyond the normal usage. They are used for emphasis as well as presenting picture ideas. If I stated: “get off my back,” and you are not physically on my back; you would understand that I was using these words in an unusual manner, figuratively, not literally. And we all understand that this expression does not mean that a person is literally on our backs, but that they are irritating us, by calling something into question which presents us with an aggravation. This is one simple form of a Figure of Speech; another would be the use of the expression: “you are just mixing apples and oranges.” Again we understand that these common words are used in an uncommon manner in not meaning that we are mixing different kinds of fruits together, but that it does mean that were mixing things that are diverse, as opposed to things that are equal with each other. Jesus used “Figures of Speech” all the time; one such example is found in the following text, and as such is also one of the internal proofs wherein God’s Word displays a spiritual insight, which is a depth of insight not commonly seen wherein faith grows because we are further convinced, yet one more time; that this book that is referred to as the Bible, is so ingenious, that it truly was authored by the God of the universe. In addressing the issue of the leaven of the Pharisees, we first need a short lesson concerning the subject of sin, wherein we will start with the first sin ever committed. We understand this passage is speaking about Lucifer and his sin – the first sin recorded. This sin of Lucifer (Lucifer means: “The morning star,” an epithet of the planet Venus, who God renamed Satan which means: “Adversary,” from the verb sa’Tan, “to lie in wait” ~ Job 1:6-12; 2:1-7), and the Devil which means: “slanderer“, as in the “accuser of the brethren” ~ Revelation 12:10), led to his fall (Eze. 28:12-19 ~ which uses a word play between Lucifer and the King of Tyrus), (also see: Isa. 14:12-20)and Rev. 12:1-17); and this sin – the first sin ever (prior to man’s sin as recorded in Genesis, therefore known as the first sin ever committed) – was the sin of pride – wherein “thy heart was lifted up because of thy beauty“ (Eze. 28:17), which is an observational description of what pride is, that of being lifted up in one’s heart – “heart,” not meaning the emotions only, but the total inner being of a person (See our essay entitled: “The Heart and the Mind – What the Biblical word ‘Heart’ means” ~ See LINK), the mind, emotions and the will. Lucifer was lifted up above the place of God in his own eyes (a corrupted perception), he put himself first, above all else – this is what pride does it focuses on self as the object of its own affection, more important and greater than any other; even God. It was this pride that “corrupted thy wisdom by reason of thy brightness,” brightness being another word for “splendor” or figuratively of “beauty.” Pride always warps the perspective of its holder; it corrupts the ability to be wise. NOTE: pride corrupts wisdom by distorting a person’s sense of reality – they’re perception, thus mandating that discretion cannot be wise, but is warped. This is why individuals filled with pride can do things that are apparent to everyone but themselves as insane or stupid, yet to them seems so logical and correct – this is the warping of wisdom. Pharaoh is a great example. You would think after the ninth miracle – plague, he could come to the commonsense conclusion that Moses was representing God and he better stop messing around – this is where the Scripture talks about him “hardening his heart” – wherein eventually, God solidifies and hardens Pharaoh’s own pride even further. This is the insanity of pride in that it corrupts wisdom. Lucifer’s first sin was pride which led to his corrupted wisdom wherein he thought he could be greater than God and made the five “I will” statements (Isa. 14:13-14) within his heart to usurp the authority of God – but what we must notice that the foundational sin that all other sin proceeded from – was and will always be, pride. As the first foundational sin, pride laid the foundation wherein all the other sins would be rooted with in a universe inhabited by sin. The reason that pride is foundational to all other sins is that pride is about self-centeredness, and sin is always about self-centeredness. There is not a single sin committed wherein self is not what is focused in on, and put first. No matter how much a person tries to paint good intentions on their sin, if you dig deep enough you will find where self is put first – where self is made god. Therefore, every sin – which is a sin of self-centeredness, is based upon the focus of attention being on self, and self being placed first above everyone else, including God – hence pride is active and foundational to every sin! In defining what pride is observationally speaking, it can be best stated that pride is “preoccupation with self,” rather in grandiosity, or self loathing; the point is pride wants to keep the focus on self. Pride has to do with focus. Lucifer could not be content with the peripheral (“to the edge,” as opposed to the center) – meaning, he had to be the focus – the primary. Yet, we know that the primary – the preeminence always is to be on God – Christ. This is why one of Lucifer’s premier strategies is not to fight the best with the worst, but to have the second best usurp the best, taking the focus from the best and placing it upon itself. Therefore, it is when second best preempts the best, that Lucifer subtly, and without obvious attention and notice of those that maintain a superficial grasp of spiritual reality, give way to his control. Lucifer first questions what God has said, however notice he starts it in the affirmative by saying “yes,” or in the Hebrew vernacular, “yea.” What a subtle beginning by starting with a positive – Yes. How often Satan or his agent starts off with a positive. The world gives great credence to what some refer to as “good intentions.” Yet, upon further examination, many times that which seems to be positive and “good,” is in reality the opposite (“Woe unto them that call evil good, and good evil; that put darkness for light, and light for darkness; that put bitter for sweet, and sweet for bitter!”~ Isa. 5:20). Next Satan openly questions what God has stated as recorded in Genesis 2:16-17. Though Satan starts with the affirmative, with “yes,” he then goes on to question what God is said, restating only part of God’s commandment; he does this same thing in the temptation of Jesus (Matt. 4-6, where Satan misquotes Psa. 91:11-12). It is one of Satan’s oldest tricks to confuse the primary with the secondary, to interject confusion about the question at hand, to use Scripture out of context – incomplete. His subtlety begins with our willingness to entertain a conversation with him wherein he clouds the issues, many times causing us to focus on the progress at the expense of the preeminent. Satan is not afraid to have men act religiously, as long as they don’t act Christ-like. He has always attempted to change our focus from Jesus Christ to himself through subtlety and confusion; yet always laying accusation concerning God’s Word. Satan will even lead us to religious worship (this is not worship at all, at least not of God. It usually involves storytelling concerning morals, and may center around making us better persons, parents, or citizens – but takes the focus off of Jesus Christ as preeminent), praise music (as opposed to true Christ worship – not this “ME and Jesus” substitute which brings me back into focus – as seen in many congregations these days), and acts of kindness (as opposed to presenting the gospel of Jesus Christ, or in-death Bible teaching – they do “good works” instead God’s works); as long as they take the attention off of Jesus Christ and place them back on ourselves – because in the long run what happens is WE become preeminent, Gods Word collects dust on the shelf, and we become ineffective, unavailable, and self-absorbed in the process; adding nothing to the “Kingdom of God” or the “Kingdom of Heaven” (yes, there is a difference between the two, within the next month we present an article on “Eternal Rewards,” which shall cover this issue). On 2 occasions, found in 4 passages, Jesus (Matt. 16:11-12, Mark 8:15 & Luke 12:1, Luke 13:21), warned about the leaven of the Pharisees, which He refers to as “the doctrine of the Pharisees and of the Sadducees.” We know that the word “doctrine” simply means “teachings.” So Jesus was warning his audience to not practice the teachings of the Pharisees and Sadducees – so what were these teachings? *NOTE: This is a reference to the hem of their garments, wherein the Israelites would use tassels that were symbols representing different things stitched into the hem of their garment. 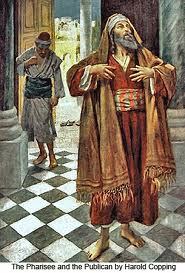 This practice became common after the Babylonian captivity in an effort to mimic God’s direction concerning the garb of the priest of the temple. This would be analogous to the stripes the soldier wears on his lapel or sleeves. Pomegranates (Exo. 28:33) were utilized concerning spirituality, righteousness, and strength; the greater the hem, meaning that the robe had many folds to accommodate a larger amount of hem lining at the bottom; represented greater righteousness. The Pharisees were noted for having great hem lines with these pomegranate tassels declaring to the world their superiority in righteousness and spirituality. Verse 5 states: “But all their works they do to be seen of men,” which is what the Pharisees demanded the focus on – themselves. This was their teaching by example, their behavioral doctrine, according to Jesus, this was there necessity – to be the focus of attention – there leaven, their sin, was pride; the root of all sin. This is what they practiced, this is what they did. This is why Jesus in verse 3, states that “whatsoever they bid you observe;” in referring to when they taught out of the Torah, Gods Word. Paul referred to leaven as sin on two occasions (1 Cor. 5:6-8; Gal. 5:9). If you remember the situation in Corinth concerning the member that was committing open fortification, Paul states in this first passage that “a little leaven leavenrth the whole lump,” indicating that a little bit of open sin left unchecked within the church, corrupted the whole church. And Paul uses this same statement to the Church of Galatia concerning their legalism regarding circumcision. According to these 6 passages, which refer to 4 different events, both Jesus and Paul exhibit the symbolism of leaven as sin. Also, among the Feasts of Israel, leaven was not allowed except for the middle Feast of Israel, and was always held in a negative light, and even concerning the Feast of Pentecost, there is something out-of-place concerning its mention. A Rabbinical priest will point out that leaven in the Old Testament was typological of sin because of this, and is carried on in the New Testament with the same consideration, but why? Leaven corrodes (brings decay and death – the same as pride) from the inside of whatever it possesses (it works from the inside, out; hidden – not readily observed working on the inside – the same as pride), completely changing it (having once made its change, can never be undone – it is impossible to take leaven out of the loaf – the same as pride), and filling it with air (in the Bible, the word “vanity” was synonymous with “air” – simply meaning void of substance – the same as pride. It also heats up in the process, hence we get our expression “filled with hot air,”), making it void, or vain, the same as pride. It distorts the appearance of whatever it impregnates, by causing it to fill up with air making it appear much bigger than it is in reality – it is an illusion – a false illusion. It takes very little to affect a substance that is much larger. And it cannot be taken out once it has infected its host. In the process is solely foundational upon the concept of corruption and death in order to produce what appears to be bigger than life, but in reality is much less significant – the same as pride. For these reasons leaven was understood by the Hebrews to be symbolic of sin and you will notice that it symbolizes pride better than any other idiom. To the Hebrew, pride was synonymous with sin – it was the ultimate sin. Pride is at the heart of every sin, because self is what is being magnified and served. 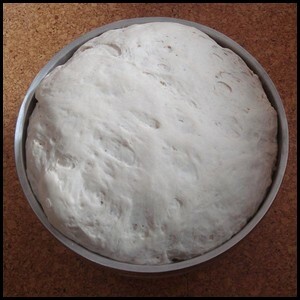 The reason why leaven is utilized in the middle Feast of Israel, the Feast of Pentecost, the day that church was created, is that according to the six parables of Matthew 13, wherein we understand to be the pending church, wherein leaven is recognized as being within His church, therefore allotted too in the churches beginning – the day of Pentecost. Sin is in the church because man is in the church; yet, even in spite of this the Holy Spirit will still achieve God’s Will within a church that is riddled with sin. Concerning the 12 tribes (the Nation) of Israel and the 7 feasts of Israel, ceremonially; leaven was specifically never allowed, in fact; there was great emphasis made on determining during the Passover that there was no leaven in the house. The doctrine of “Biblical Expositional Constancy” demands that every idiom, analogy or metaphor utilized in the Bible is constant in both the old and New Testament, meaning that an idiom can never represent two different subjects (at least if the Bible had only One Author who inspired the whole document – it would consistent). This doctrine, the doctrine of “Biblical Expositional Constancy” demands that concerning the idiom of leaven, wherein in the New Testament writings leaven is representative of sin connotatively (generally) speaking, and pride denotatively (specifically) speaking; must hold the same understanding in the Old Testament as well. Hence, the traditions regarding the mandate that leaven is not allowed within any of the 7 feasts of Israel, with the exception of Pentecost which is representative of the New Testament church. This begs the question why is it allowed, figuratively and in the NT and not in the OT. ISRAEL ~ is declared to be God’s people, and therefore His representative; they are given the law which is a representation of the righteousness of God. And as God’s representatives declaring His righteousness, sin is never allowed. The law is sinless, and is actually the antecedent to sin (Rom. 7:7). This “Figure of Speech” (Where in this case is a allegory, which is an extended metaphor; which could also be called in idiom. See Endnote #1) concerning leaven is completely consistent between the two Testaments, and fulfills Romans 10:17 in regards to building faith, in that the reader comes to understand that every word used in God’s Word has a literal fulfillment which has deeper meaning beyond human contrivance. That different people, at different times could use an idiom that was consistent throughout the book we refer to the Bible, is yet another display that it was written by the God of this universe. And when we consider how leaven is not only used to represent sin in general, and pride in particular; we also see how the choice to use leaven for this idiom fits on so many different levels. That as you examine what leaven is, and how it works, there is a comparison that fits pride, yet also all of sin which pride represents. How unique is the Bible that even the very idioms fit not only on a superficial apparent level, but deeper down the more one examines it, the idiom in itself displays the characteristics for which it was chosen. The subject of “Biblical Expositional Constancy,” wherein thousands of idioms are utilized in God’s Word, are but one more area wherein as we study each one these idioms, it is amazing to find the depth of understanding with each one. NOTE: Regarding the subject of “Figure of Speech“ (used in the singular concerning the group), a search on Wikipedia will explain this subject which few are aware of, but many have taught about. Every language has thousands of figures that are utilized in day-to-day conversations, yet it is the dumbing down of America wherein Satan seeks to hide these insights and knowledge that man has been aware of for thousands of years, wherein figures of speech are unheard of in our current day. The more that we examine God’s Word, the more we find internal proofs that it’s complexity and intricacy are so profound that it is beyond human creation; leading to the undeniable conclusion that the Bible’s sole authorship is that of the God of this universe. 1. . Figures Of SPEECH USED IN THE BIBLE, E.W. Bullinger, D. D; Baker Book House, First printed in 1899, Twenty-second printing 1999.